Dominion BJJ is rated 5 out of 5 based on 125 reviews from around the Web. Great environment, professional instruction & a very nice/clean facility. Highly recommend it. It’s a good activity for building confidence and to teach them a bit of self defense while building strength and They also have after school and before school programs and they are very family oriented. I’ve been training at Dominion BJJ for almost 2 years now, I love every second of it. Love my Dominion family! Josh is extremely knowledgeable and explains the benefit of each exercise. An excellent place to learn Brazilian Jiu-Jitsu. Bill and Michelle are excellent teachers, they are willing to help you achieve your goals! I would highly recommend the team at Dominion BJJ. Excellent instruction suitable for all levels of learning! Positive group atmosphere and convenient times! Awesome! I love training at this gym! I have been training with Josh for over four years. His methods ar The last 4 months Josh has helped me discover strength I never knew I could gain. My family and I have been here for a little over a year now and it is hands down the best. Coach Jose has a great way with the kids. I have seen the changes in strength and body composition from powerlifting. He’s incredibly talented at viewing your weaknesses and strengths and using that knowledge to train you efficiently to achieve your goals. If you are serious about your training, looking for results and have a great work ethic, seek out Josh, you won't be disappointed. I LOVE coming to workout here and leave drenched in sweat three times a week Sidenote: he plays excellent music while you workout and will sometimes take personal requests. I am extremely happy with my experience and highly recommend Josh and Dominion Barbell to anyone looking to take their training to the next level. The instructors and students were awesome and welcoming. There always some kind of activity going on. Josh is by far the best trainer I've worked with!!! You're a college athlete trying to up your game? He's got you cover. A marathon runner? They absolutely love it. With having just a few weeks of training I can see that he really tries hard to focus and listen to his masters. This place is phenomenal! The school provides professional classes in a non-hostile enviroment. We've been at Dominion BJJ for about 3 months now, my son loves it. The instructors here are so patient and supportive and we all feel like one family. 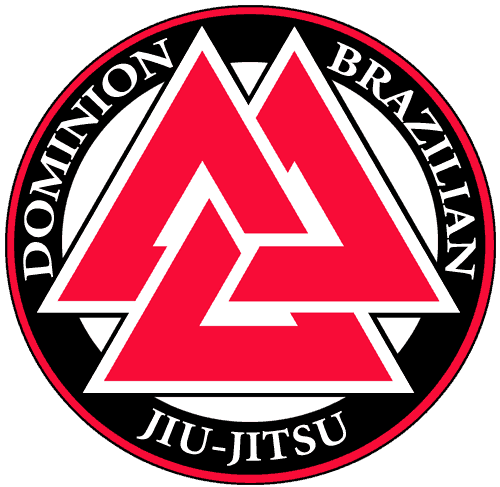 Dominion BJJ have a great program, Bill and Michele offer a family oriented environment with great instructions for beginners and advanced practitioners. My 10 year old son is on his 3rd week with the after school program and we couldn't be happier! They also have really great after school programs for kids martial arts. Highly recommended! They gave me a great workout and some fun rolls, I would recommend this gym. The atmosphere is the most friendly and inviting you will find in the area. Great skilled Coaches and all around good people! The BJJ instructors, and , are fantastic coaches who explain every technique in incredible detail and help students of all capabilities learn BJJ. Very friendly staff. I have trained with Josh Wehrmann for about a year and half. Great trainer. Josh will get you there, no doubt. Two of the most kindest and toughest ppl on the mats. If you live in the area, you definitely owe it to yourself to go check them out. He’s taken me to my very first powerlifting meet and helped me throughout it all. Powerlifting makes me strong physically and mentally, keeping me independent and mobile for as long as possible. My increases were phenomenal, with my squat increasing 200+ lbs, deadlift 200+ lbs and bench 150+ lbs. This is a great gym to work out at. He also has a way of pushing you during the workout beyond what you think you are capable of. Los instructores son muy buenos son paciente con los niños y adultos un buen ambiente familiar sin importar la edad. Dominion BJJ has a great group of people whether you are powerlifting, Striking, or training BJJ. This is a great place to train with exceptional people. Bill Nagle is a great person to be around and learn from. This is the place to train. The BJJ instructors, Bill and Michelle, are fantastic coaches who explain every technique in incredible detail and help students of all capabilities learn BJJ. He is friendly yet no-nonsense and knows what you need to do to get results. I never leave my workouts disappointed. The coach is knowledgeable and dedicated. He has single-handedly kept me motivated and on track, and now I'm not only down 80lbs but I have gotten my diabetes under *tight* control and have gotten off my BP med. I've been training Muay Thai for one year now at Dominion BJJ and I love it! Highly recommend! The key is to come in ready to work hard and he will guide you all the way.The last 4 months Josh has helped me discover strength I never knew I could gain. The group of people here are amazing. Professor Bill along with Michelle have created an amazing thing here in Manassas. 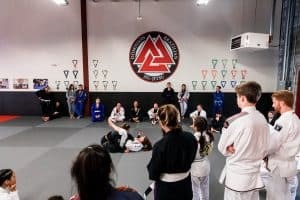 Centreville BJJ Celebrates It’s One Year Anniversary! Dominion BJJ Team Competes in Richmond Tournament! 1 week free! No obligation! We provide everything you need, no strings attached! I’d like more information first.